This week’s image was just for a bit of fun and experimentation. 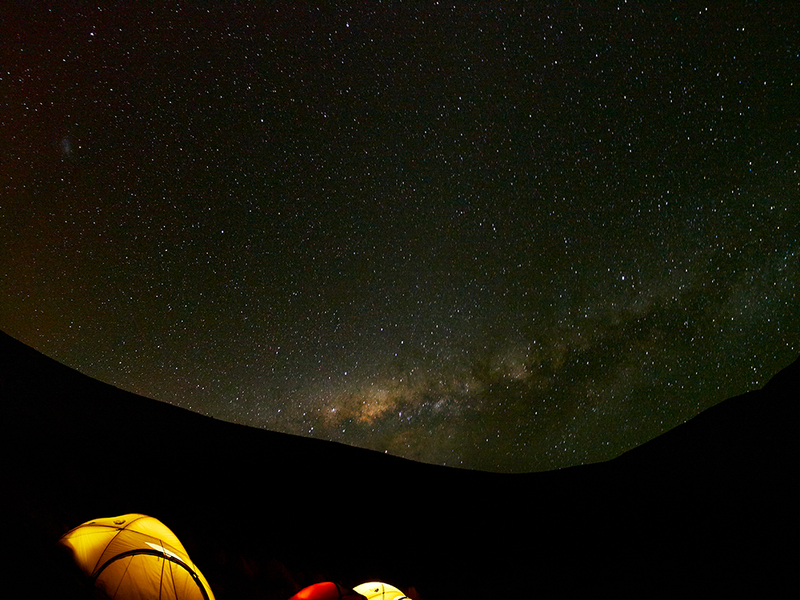 Whilst I was in Bolivia I was camped half way up a volcano at around 4,300m. The sky was as clear as anything and the star show amazing. I decided to pop the camera on a tripod, whack on the old fisheye lens and see what I could capture. This is the result. Sure the stars are moving and therefore a little blurred due to the long exposure. Despite this I am rather impressed by what the EM5 and a Samyang fisheye lens can actually achieve. I now wish I had locked open the shutter and captured some star trails. Mind you it was damned cold and I couldn’t wait to get under canvas. Love it. How long was the exposure? Thanks. It was 73 seconds. I just put the EM5 into the gradual exposure mode and watches as the image built up on the LCD. When it looked OK I just released the shutter. Great feature on the Olympus.